A note from Dr. Denise. If you know Dr. Ryan or me, you probably know we love food. And we try to buy and eat organic when we can. That is not always the most cost effective form of eating so I’m always looking for specials and thinking of creative ways to eat right, while keeping the cost low. Natural Grocer here on Rock Road has a discounted cart with bags of produce that may go bad soon or is not selling fast or whatever. You can sometimes pick up some great food, as long as you are willing to eat or process it in the next couple of days. Just last week we ran out of jelly and I told Ryan that if there was fruit on that rack, I was going to make organic jam on the cheap. 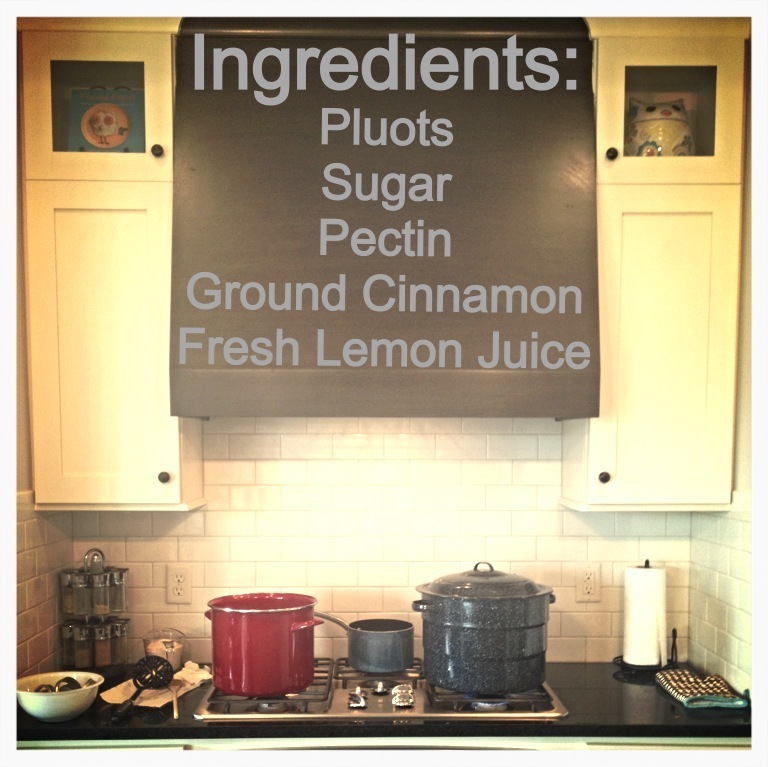 Growing up, my family always canned the food we grew in our garden so I am very comfortable with canning. I think a lot of people my generation canned as a kid, right? Fill a boiling-water canner 3/4 full (or to the top indent) and bring to a boil. Wash jars and screw bands in hot soapy water and rinse. Put the screw bands and never-used flat lids in a large bowl. Place the jars only in the canning pot while it starts to heat up. Boil a sauce pan half full of water and pour over lids in bowl. Set aside for when you are ready to place on the jam filled jars. 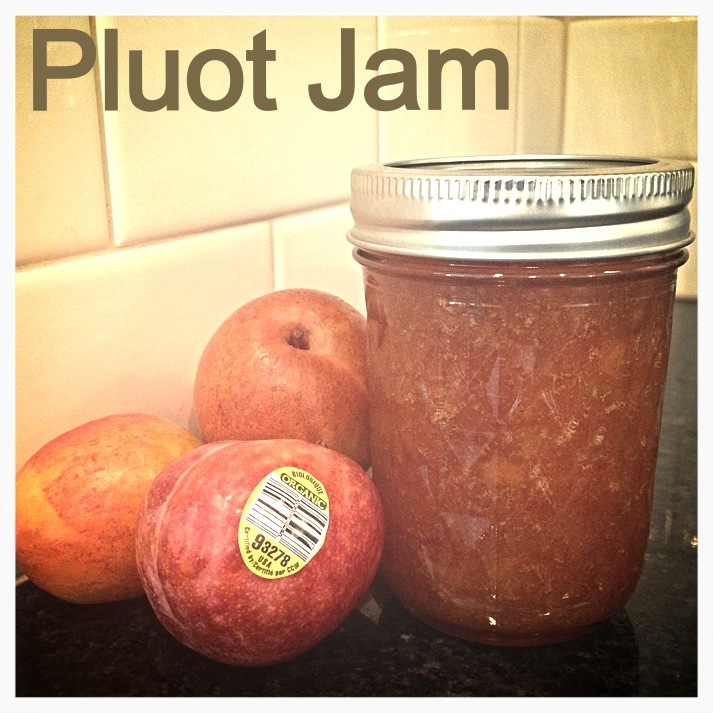 Bring pluot mixture to a simmer, and mash/mix until pluots are soft and the desired consistency. 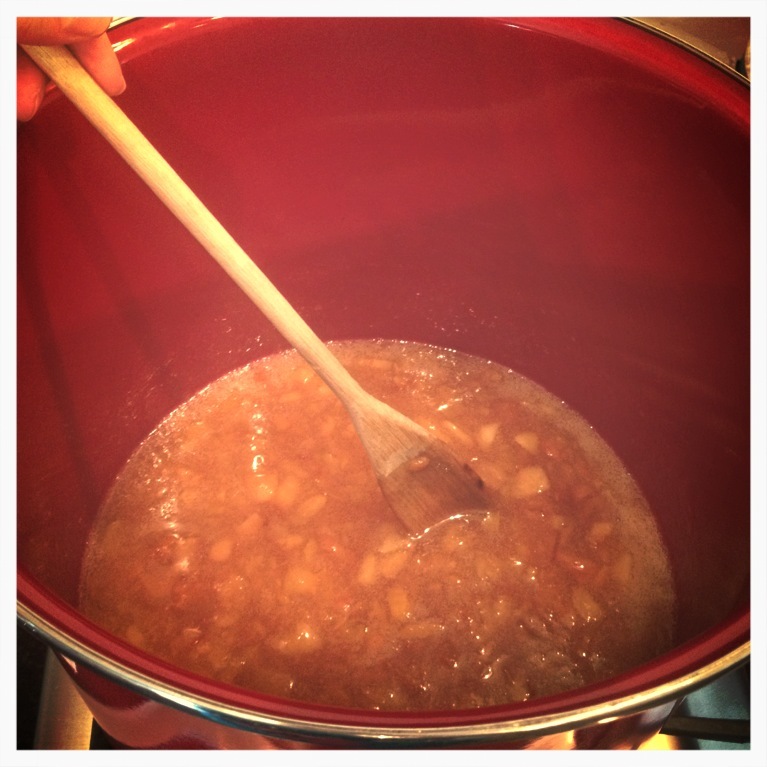 Bring this mixture to a full rolling boil (still boils when stirring), stirring constantly. Add sugar and mix well. Return to a full rolling boil and boil for 4 minutes longer. Remove from heat. Skim off any foam, if any, with a spoon. Stir in cinnamon. Pull jars from boiling water and ladle hot mixture into hot jars, filling within 1/4 inch from tops. Wipe any jam that lands on rim. Cover the jars with flat and screw lid and screw bands tightly. Place jars on the rack in canner. Water must cover jars by 1-2 inches. Process 10 minutes. Remove jars and place upright on a towel or cookie sheet to cool completely. Once jars cool, check seals by pressing middles of lids with finger. Refrigerate any jars that did not seal. Enjoy!